The San Diego County Regional Airport Authority, the agency that manages the day-to-day operations of San Diego International Airport (SAN), is pursuing an integrated approach to managing water quality, water use, and flood resilience. The San Diego International Airport (SAN) covers 661 acres of land and receives more than 22 million passengers annually. Because SAN is located alongside San Diego Bay, the San Diego County Regional Airport Authority (Authority) is proactively addressing water conservation, water quality, and flood risk considerations while accommodating passenger growth, new airport developments, and a changing climate. In 2016, the Authority developed a Water Stewardship Plan to guide this holistic water strategy. The San Diego County Regional Airport Authority used/is using closed loop water infrastructure to address this/these challenge(s). In 2017, a smart air conditioning condensate water capture system was installed on airside passenger boarding bridges. Condensate that would otherwise drip from AC units onto the tarmac is captured and stored in barrels. 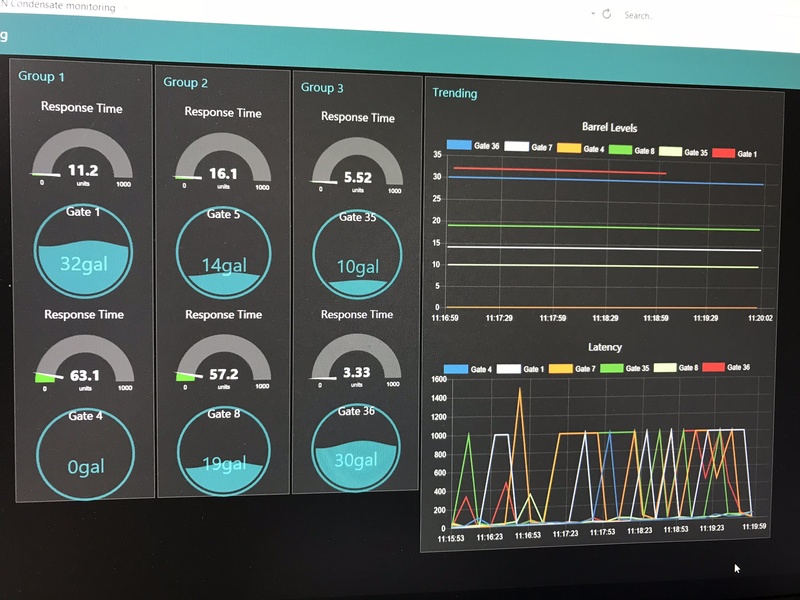 Sensors installed on the barrels provide real-time data on water volume, and allow maintenance teams to match available AC condensate water with usage opportunities including sidewalk cleaning, dust control, and the cleaning of vehicles. Other completed initiatives include the installation of 6 acres of permeable pavement, 2.75 acres of bioretention swales, and 14 modular wetland treatment systems. A new parking plaza will feature a storm water capture and treatment system capable of storing 100,000 gallons and capturing two million gallons of storm water annually. This water will be reused to offset potable drinking water that is used to regulate air temperature in terminals. A current expansion of Terminal 2 will also include low-flow water fixtures, drought tolerant landscaping, and a 15th modular wetland system. In 2017, the Airport collected over 100,000 gallons of condensate water from the passenger boarding bridges using sixteen 55-gallon barrels and three permanent 300-gallon tanks. 11 sensors monitor the captured water in the barrels so it can be matched for reuse opportunities. 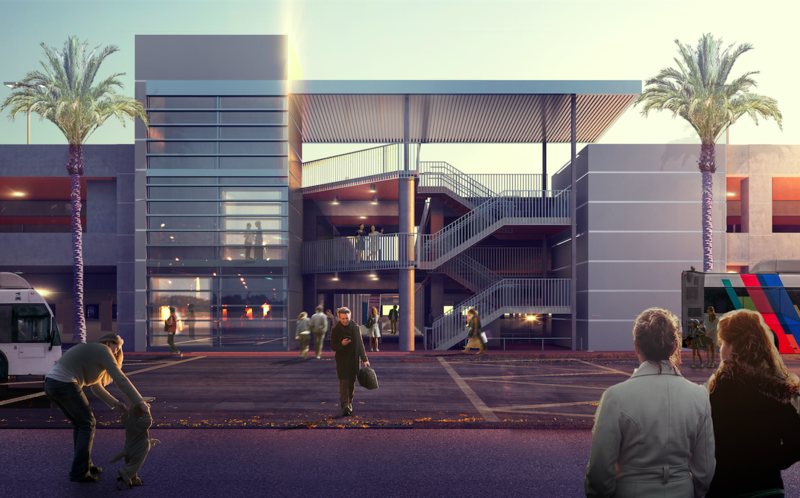 Terminal 2 Parking Plaza will feature a stormwater capture and treatment system capable of storing 100,000 gallons of water and capturing two million gallons of water annually for reuse. LEED strategies at SAN for water efficient fixtures have reduced total onsite water use by 13% since 2008. 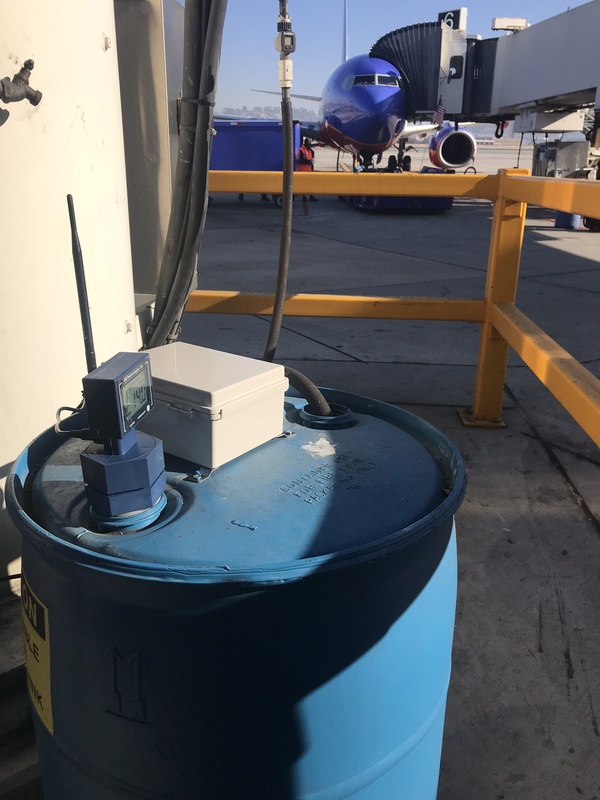 An air conditioning (AC) condensate water capture system on airside passenger boarding bridges leverages technology to improve data analytics for capturing and reusing water.